Last week Australian scientists announced a major breakthrough in treating peanut allergies – and it can last for up to four years! This news couldn’t come at a better time since hundreds of Americans die each year from food allergies and around 200,000 of the estimated 15 million Americans with food allergies will wind up in the emergency room each year. Almost six million of those with food allergies in the U.S. are children. The recent EpiPen price gouging scandal is more proof that it’s time for alternative life-saving treatments. 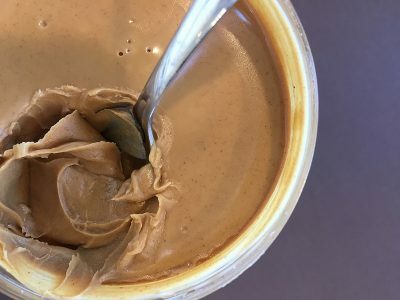 Mimi Tang, a researcher at the Murdoch Children’s Research Institute (MCRI), developed the treatment whereby children with severe peanut allergies are administered the probiotic lactobacillus rhamnosus and peanut proteins daily for 18 months. Tang told the Australian media that the treatment is safe and produces long term tolerance – up to four years. “Two thirds of the treated participants were able to continue regular peanut ingestion and more than half were ingesting moderate-to-large amounts of peanuts on a regular basis,” she said. The probiotic changes how the immune system looks at the foreign invader. “The probiotic acts on the immune system, encourages the immune system to generate a protective, or tolerance, response rather than allergy,” she explained. “When given regularly over time, we hope to see the immune system recognise the antigen,” she said. They will run future trials to see if they can leave out the peanut protein altogether. Those who are looking for a non-invasive, alternative reversal of allergies within the U.S. would be interested in looking into NAET therapy. School, sleepovers and parties are a frightening affair for parents of children with life-threatening allergies. Parents often have to hand an EpiPen to the host and give a quick demonstration of how to use it in an emergency, while everyone hopes for the best. “…not have to worry about putting that responsibility in someone else’s hands is a great relief,” said one parent of a cured 10-year-old who took part in the study. Families deserve to be free from the constant and very real fear of food exposure when life hangs in the balance, so any advancement in this arena is welcome news indeed. *** Please do not try at home!